On Wednesday, April 13th, come learn about free Westlaw available at the Wisconsin State Law Library. This class will showcase Westlaw Patron Access, a Westlaw service offered on the library's public access computers. This service includes free searching of state and federal primary law - cases, statutes, codes and legislation. Library patrons also have access to KeyCite, online forms and treatises, such as McQuillin: The Law of Municipal Corporations; Norton Bankruptcy Law and Practice, 2d; Fletchers Cyclopedia of the Law of Private Corporations and much more. This class will offer useful tips on effective searching in both Boolean and Natural Language modes. This free class runs from 10-11 a.m. on Wednesday, April 13th and is valid for 1 CLE credit. Register online now or print and send in a registration form. Written by retired U.S. administrative law judge James J. Brown, Judgment Enforcement walks legal professionals through each step of the judgment enforcement process. Although the focus is on federal judgments, it addresses both state and foreign judgments. Users will find well-researched chapters on: Discovery to find the debtor's assets; Sale and disposition of the debtor's assets; and Reopening, correcting and vacating judgments. Each of the book's 15 chapters includes dozens of applicable forms and practice tips that advise on related matters such as interacting with court clerks. Probably the most useful chapter for Wisconsin practitioners is Exemptions from judgment enforcement, which includes a state by state summary. Those outlined for Wisconsin include homestead exemptions, property exemptions, life insurance, personal injury or wrongful death claims, and retirement benefits. The next time you're faced with a judgment enforcement issue, consult this treatise. It just might provide what you need to succeed in enforcing the judgment and obtaining collection. Do you need an attractive room in downtown Madison for a meeting, presentation, or event? 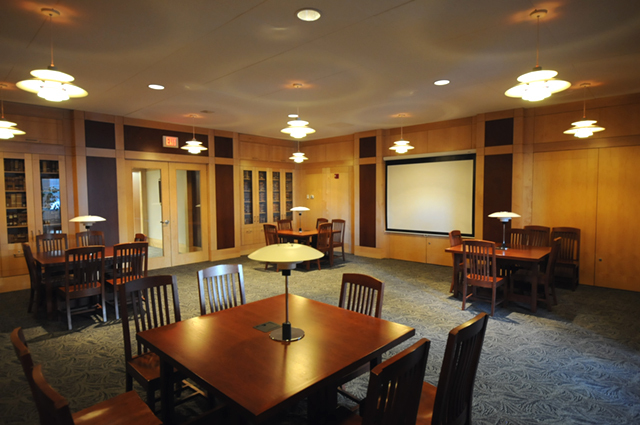 Check out the rooms available for rent at the Wisconsin State Law Library. Individual user workrooms are freely available on a daily basis, however they may also be rented for extended use. Browse photos of the user workrooms and try one out during your next visit. The gorgeous Rare Book Room is freely available daily for quiet study, but is also available for rental and can accommodate up to 32 occupants at its tables. A full list of features is available on our Room Rental page. The library's computer training room offers an intimate hands-on environment for those in need of a place to hold training seminars. See our Room Rental page for information on features and capacity. Finally, the library offers a conference room for rental. The conference room seats 6-8 occupants at one round table. It's easy to reserve a room. Our online room rental and reservation form will walk you through the reservation steps – or you can contact Tammy Keller for more information. Internet and electrical outlets are available in each room. More features, photos, and policies are available from our Room Rental page. The March issue of the library newsletter, WSLL @ Your Service, has been published. Tech Tip in Brief: Scratched DVDs - fix or toss?